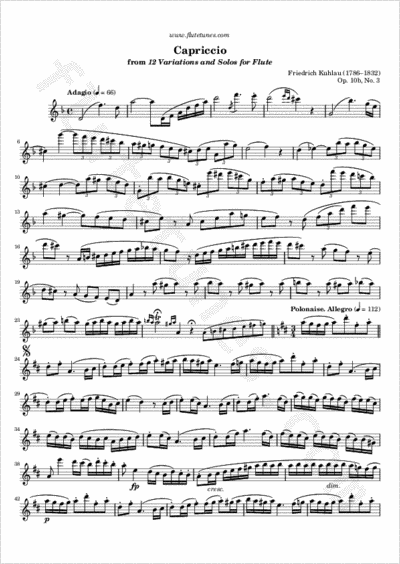 This Capriccio in D is the third piece from German-Danish composer Friedrich Kuhlau's 12 Variations and Solos for Flute, Op. 10b, written around 1810. It consists of a common-time Adagio in D minor and a polonaise in D major. Thanks to Tom for suggesting this piece!